Donald Trump's declaration of a "national emergency" came two days after he held a meeting with top advisers to discuss tackling the drug problem. 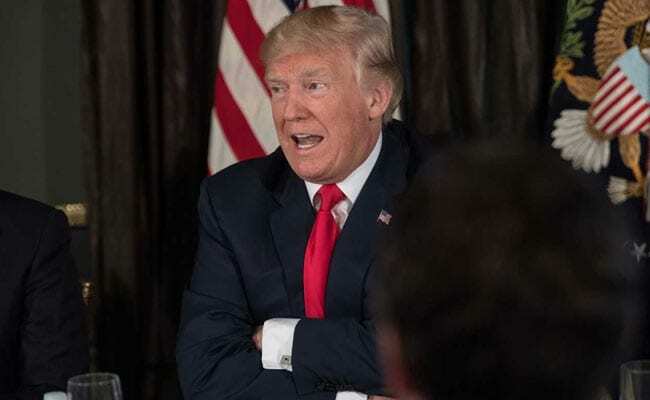 Bedminster, United States: US President Donald Trump said Thursday that the opioid crisis in the United States constitutes a "national emergency" and pledged to step up efforts to fight the epidemic. "The opioid crisis is an emergency," Trump told reporters at his New Jersey country club, where he is on a two-week working vacation. "It's a national emergency. "We're going to spend a lot of time, a lot of effort and a lot of money on the opioid crisis," the president said. "It is a serious problem, the likes of which we have never had." Trump's declaration of a "national emergency" came two days after he held a meeting with top advisers to discuss tackling the drug problem. Such a declaration will allow for increased funding and resources to tackle the scourge of addiction to pain-killing drugs and heroin. Prescription painkillers and heroin contributed to some 60,000 overdose deaths in the United States in 2016, a 19 percent surge over the previous year, according to an estimate compiled by the New York Times. An estimated two to three million people are hooked on prescription painkillers or heroin, according to the American Society of Addiction Medicine, and 90 people die every day in the United States from opioid overdoses.